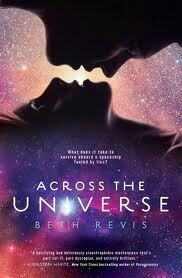 I think you can gather by the title that an ARC of Across the Universe by Beth Revis is on tour. And it's next scheduled stop is with Kristin Rae! Okay, so I'm a little behind on this post. Sorry for that in advance. Several weeks ago (actually about a week before the ATU launch date) I received the opportunity from the lovely Abby Minard to get a chance to read an ARC of Across the Universe before the book released. And I have to admit, I was super excited. I mean, I have been waiting for this book to release for what seemed like forever! And Abby picked me! But I can't forget to give credit where credit's due, because if it weren't for Cinnamon (who so graciously decided to send her ATU ARC on a tour across the universe (umm... okay, maybe just across the world)) I would never have gotten the chance to read the ARC in the first place. So I want to thank both Abby and Cinnamon for giving me that chance! I read Across the Universe in about a day. It was fabulous! And I totally plan on writing a review in the near future. I hope you guys get a chance to read this one--it released on 1/11/11. I can't wait to read this. Looking forward to your review. I just started reading it and I'm already halfway through..it's SO GOOD!!! 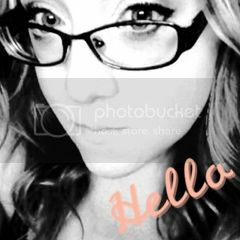 Beth is awesome!!! I was at a bookstore on Thursday and someone was curious if I'd read it! I had the opportunity to tell them they'd be crazy not to pick it up!!! Normally this style would not be something I'd pick up but I'm glad I did!! Great job on the tour!! How fun! I LOVED this book! It was my first sci-fi book and it won't be my last. Such a beautiful cover! I deeply want to read this! Hope you enjoy it! YAY--thanks for passing it along to me :) I LOVED IT!! I really loved this book. I read it first as an ARC and then bought two copies. One to keep and one to share. I may end up buying another one to share. It's that good. If you love it, don't forget to support the author by buying one to keep on your shelf or give as a gift. A super read, for sure! Definitely worth the read. Looking forward to reading your review! You're so lucky!I've been wanting to read this book! Can't wait for your review.